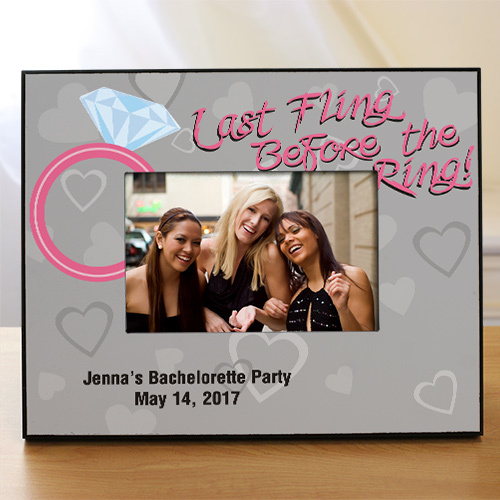 Showcase your favorite bachelorette party photograph with the girls using this fun, Girls Night Out Personalized Picture Frames! Personalized with any two line message, these Customized Picture Frames display lasting memories of everyone enjoying her last night out as a single lady. Shop bridesmaid photo frames today.